Serge has accumulated a wide experience as a consultant, as an entrepreneur and as a senior manager within a large group. He starts his career at the Boston Consulting Group where he is elected Vice President and Director in 1985. He initiates an entrepreneur venture in 1991 and launches a retail service chain. After the sale of the network, he then joins Capgemini in 2001 where he holds several senior management positions. In 2010, He decides to join OC&C where he is elected partner. In 2015 he founds SCB-SUBSAHARA with a team of recognized high level experts. Serge is recognized as a specialist of growth issues and international development. 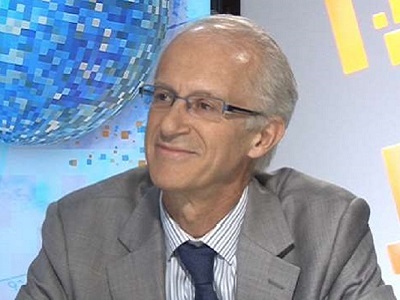 In this area, he is the author of several books: “Quand les RH construisent la croissance” (2005), “Notre avenir depend d’eux” (2010) and lately, together with several CEO’s of large groups, he contributed to a book called, “La France et ses Multinationales”. He delivered numerous speeches and published a number of articles on his preferred themes. Serge Blanchard is a graduate of Ecole Centrale de Paris. He then obtained an MBA at the Wharton School of Finance, University of Pennsylvania.